Irene Schindler has worked in the health care policy field for more than 20 years both on and off Capitol Hill. Starting off as a researcher, writer, and analyst for the House Republican Conference’s (a leadership office) weekly publication, the Legislative Digest, under House Republican Conference Leader, Hon. Jack Kemp. Schindler later joined the House Budget Committee, working for Hon. Hal Rogers (R-KY), focusing on rural health care issues and access to insurance coverage. Joining his Appropriations staff in 1990, Schindler also served as his Legislative Director. 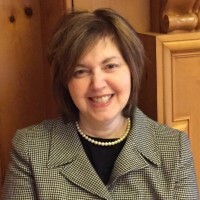 After completing her Master’s Degree in Legislative Affairs from the George Washington University, Schindler explored the private sector working for the Health Insurance Association of America (HIAA) under the leadership of former Representative Bill Gradison. In 2004, Schindler joined the pharmaceutical industry working with Pfizer to establish a monthly policy leadership breakfast briefing for patient advocacy organizations. Expanding the group from twelve to more than fifty, Schindler worked with disease and patient organizations to identify areas of common interest with the industry as Congress expanded access to prescription drugs through Medicare Part D program. In 2009 Schindler began working with the National Alliance for Caregiving, a nonprofit organization representing the nation’s 43.5 million non-paid family caregivers before Congress as the Patient Protection and Affordable Care Act legislation was being amended. In between her consulting work, Schindler has raised two children (one in college, one in high school), overseen five senior housing transitions, and written a young-adult novel chronicling the adventures of a plucky sixteen-year-old girl, who in her spare time, decides to sabotage her mother’s Senate political career—all in effort to get to know her better.